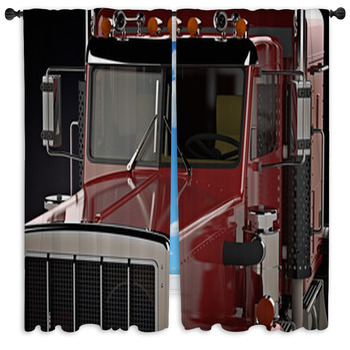 Let big engines and bigger steel frames roar across your son's room with our truck themed window curtains. 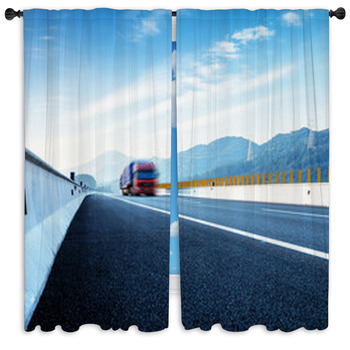 For little boys, there's nothing more exciting than the scream of a firetruck siren and watching their heroes ride atop a firetruck on the way to rescue a family. 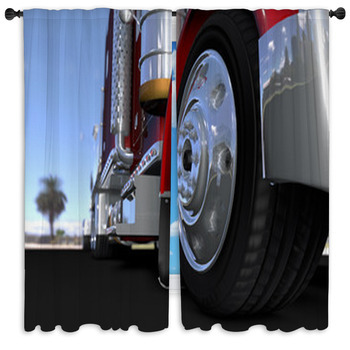 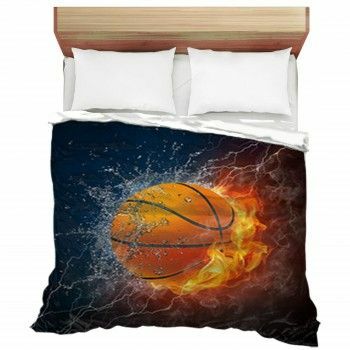 Your son won't believe his eyes when he sees custom size window curtains in his room that display a huge shiny red firetruck equipped with an aluminum ladder and fire hoses. 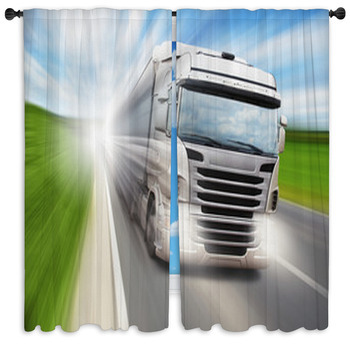 If it's the massive semi trucks rumbling down the highway that most excite your kids, choose truck window curtains that show a high speed photo image of a semi with a big steel oil tank on back. 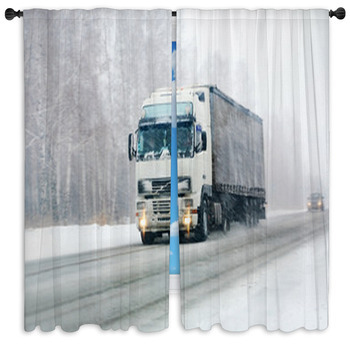 This white bodied truck is captured from the view of inside a passing car as the semi barrels down a country highway. 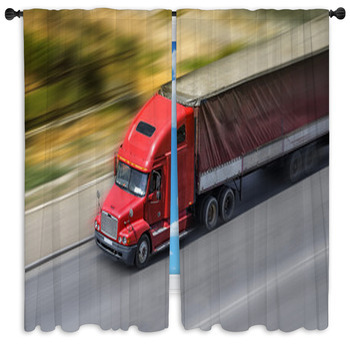 You can also give your boy truck window curtains that feature nothing but the manly and impressive front end of a powder blue and metallic colored semi set on a white background. 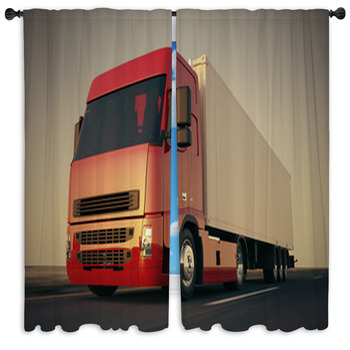 Another type of truck that leaves kids in complete awe and fascination is construction trucks. 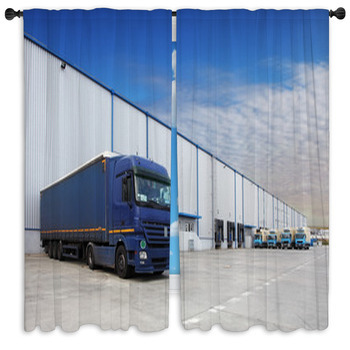 Ask your son what his favorite type of construction vehicle is, and then pick out the truck window curtains he'll adore from our huge selection. 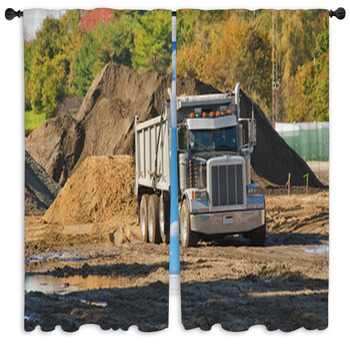 Boys love to dig in the dirt, so seeing two colossal backhoe trucks crunch through hard rocky ground is an incredible thrill. 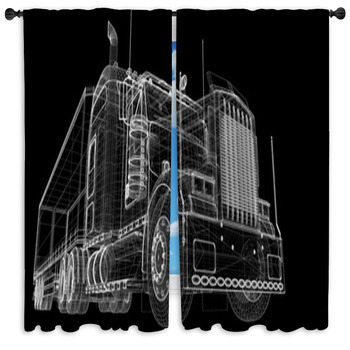 And your boys can see exactly that on our custom window curtains designed with the photo of an orange and a yellow backhoe at work. 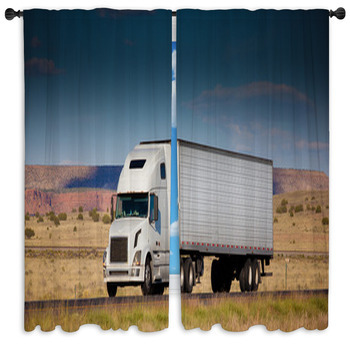 We even have drapes that are designed with these same truck window curtains patterns and more. 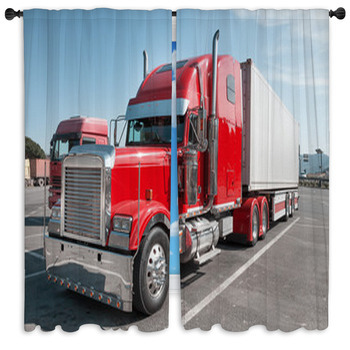 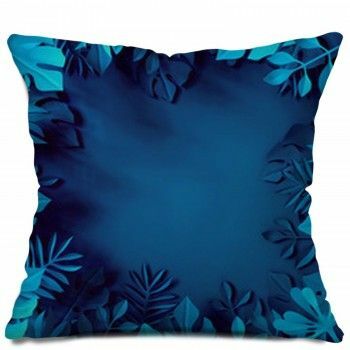 Bring a sense of power and fun into your husband's office with a set of drapes that showcase a black four door pickup truck riding high on big tires and glistening chrome rims.